Harvest is a marketplace with mult-vendor portal. Sellers can design their own template and create store on website. 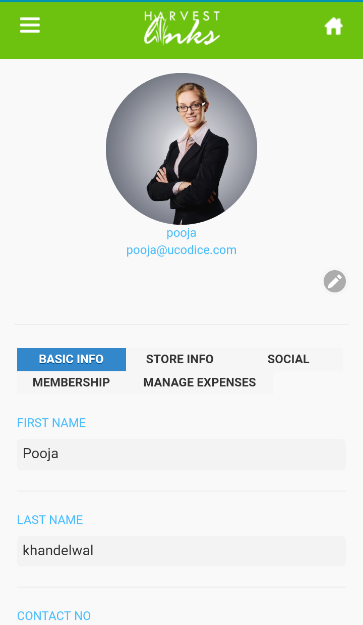 There are so many features available in the app like filtering list, manage product, manage the transaction, manage a campaign, manage recipe, manage to bid, manage review/ rating, payment system, messaging board, cart system, manage subscription, buyer dashboard, seller dashboard, social sharing etc. 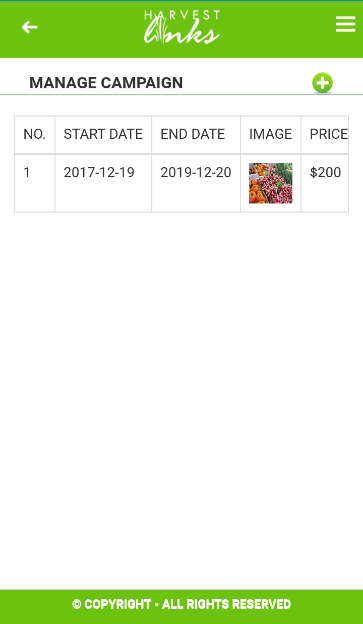 Sellers can keep track of their sales.The seller can sell their product by using two methods i.e Directly and Bid.Buyers can purchase the products directly or can bid on products.If a buyer wins the bid, an automatically generated notification email will be sent to the winner after a bidding is complete to purchase the product. 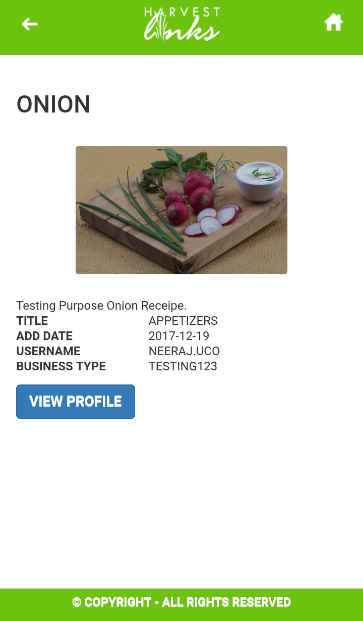 Sellers and buyers can have their own profile and collection page with the variety of products.A registered user either seller or buyer can send message or e-mail to other registered users. Sellers can add campaign and collect funds needed. Admin can track everything happening on the website like manage product categories, manage users, manage product, manage order, manage the forum, manage tax, manage promotion code, manage events, manage social media sharing, manage recipe categories, manage recipe, manage the campaign, manage newsletters etc. vi. Buyer Requirement (Check buyer requirement products). vi. Events :- (All event can view on calendar). In Dashboard, a user (seller/buyer/guest) can filter the listed data according to product,username and business name. A user can login from here. If user wants to register with harvest then they will have to fill this form. A User (seller/buyer/guest) can see the listed product. Side menu list is available only to the seller. A user(seller/buyer) can send message to other registered users and can do live chat. A user(seller/buyer) can send email to other registered(seller/buyer) users. Only a seller can add the product for bidding purpose or can sell it directly. 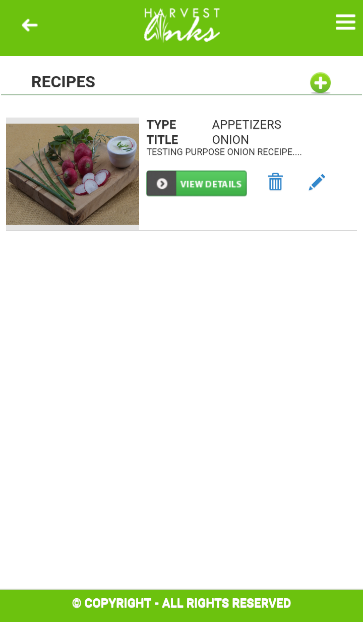 A user(seller/buyer) can view the product details and a buyer can add the product to the cart and can view who has uploaded the product and drop a message facility is also available here. A user(seller/buyer) can view their profile and can update it from here. 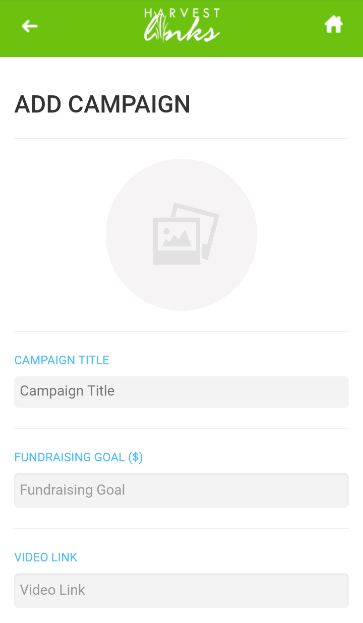 A user(seller) can add campaign for collecting funds. A user(seller) can see the campaign list uploaded by himself. 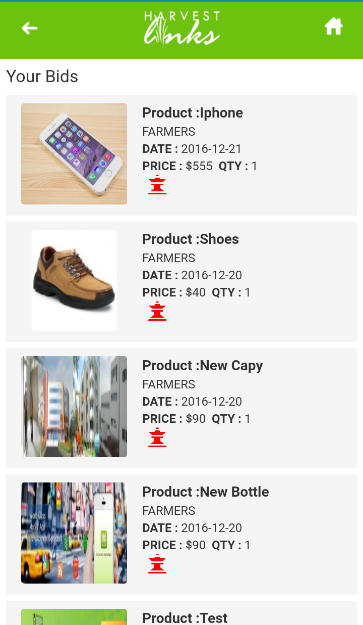 A user(buyer/seller) can see the products categorized under bid category. 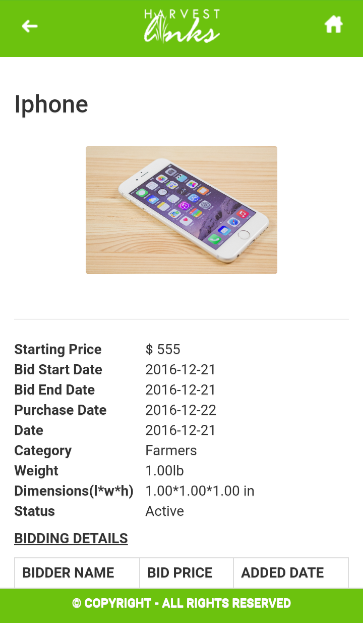 A user(seller/buyer) can view the bid product detail and can view who won the bid. A user(seller/buyer) can add the recipe from here. 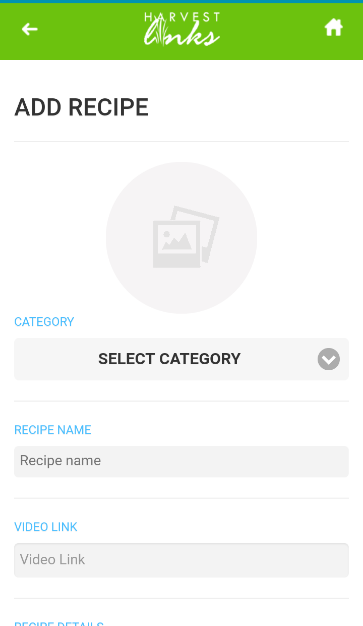 A user(seller/buyer) can manage(add/delete/edit) the recipes from this section and can view the list of recipes uploaded by that user. 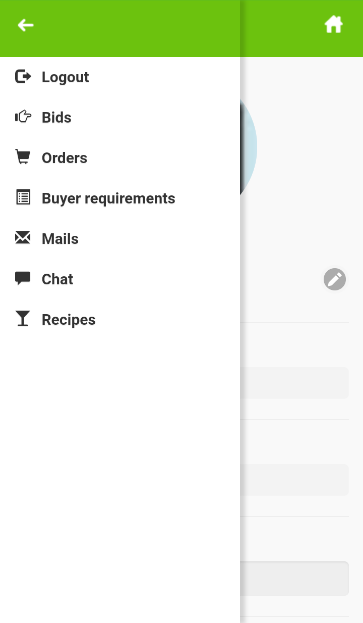 A user(seller/buyer) can view the recipe details of selected recipe. 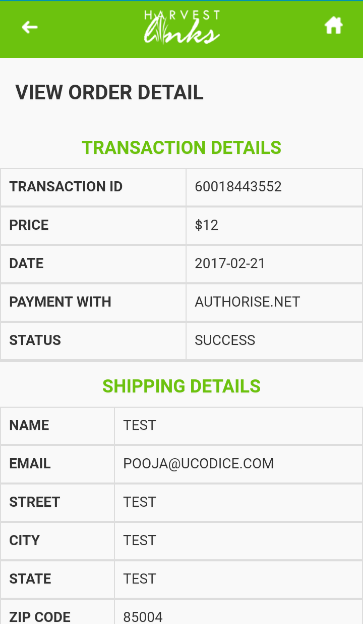 A user(buyer) can view the transaction details of the purchased order. 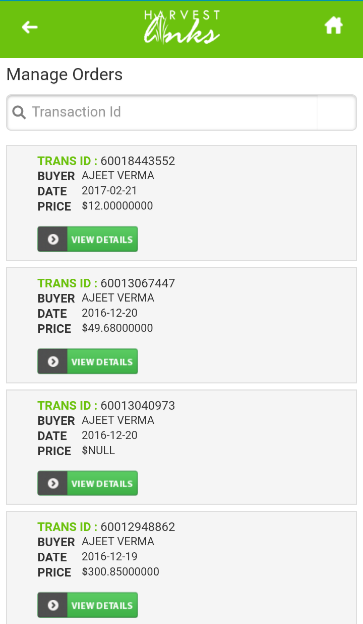 A user(buyer) can view the list of transactions done by himself for purchasing product. Side menu list is available only to the buyer.